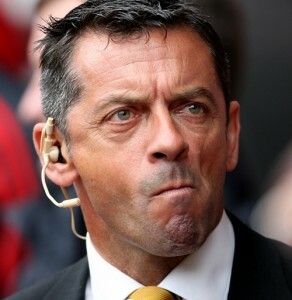 The internet is abuzz with the rumour that Phil Brown has left Hull City. The club reportedly has “no comment” to make about the mounting speculation. If it is true, it wouldn’t surprise me at all. Hull are struggling, Brown doesn’t appear to have the full backing of his players, and he’s increasingly losing the support of the Tigers fans. where is he supposed to go ? I’ll be glad to see the back of The Horrible Sales Lizard.